Quite a few customers got back to us asking if it was possible to do more with cards. The template available was okay for basic campaigns, where the template itself included ‘title’ and a ‘summary’ section, but for targeted campaigns, they would need more options. a) Analyze both beacon and campaign performance. You can also see how landing pages are distributed among beacons and how different cards are performing over time. We will back with more exciting updates from December! 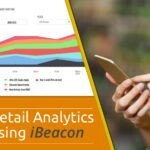 Powerful Beacon use cases from September!